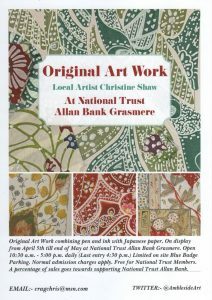 Local artist Christine Shaw will be displaying her artwork at Allan Bank in Grasmere from the 4th April till the end of May. Christine has combined fine pen and ink with Japanese papers to create striking original pieces of art. The artwork can be brought with a percentage of the sales going towards supporting Allan Bank for the future. 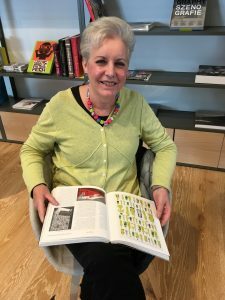 Our social media assistant, Holly Goddard contacted Christine to find out more about the exhibition and her work. Is there anything in particular that inspires your work? Have displayed your work at Allan Bank in the past? Christine has done a lot for Greens over the years and we would like to take this opportunity to thank her for her ongoing support.